A Perfect Green™ functional multi-layers allows rain waters to drain properly keeping your yard always beautiful and enjoyable all year. Beautiful 365 days of the year. No pests or toxic pesticides. Pet friendly, no muddy paws, optimal drainage. Environmentally safe and 100% recyclable. Increased property value and 10 Year Limited Warranty. 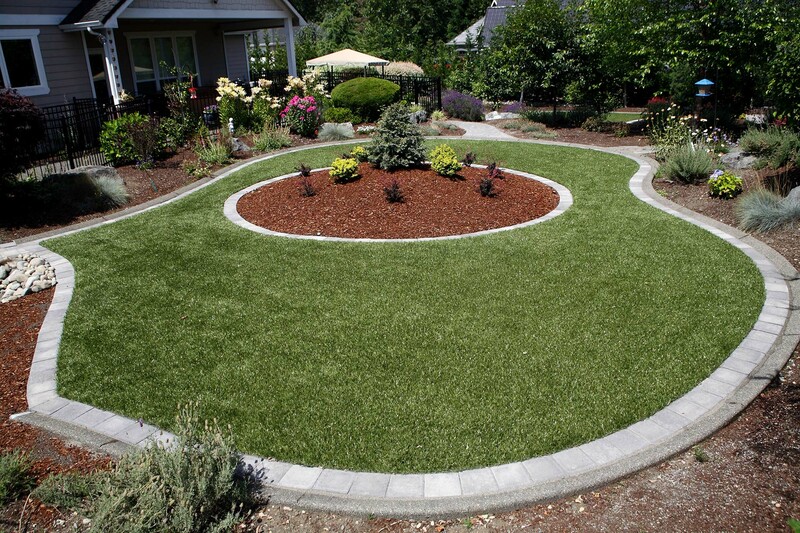 A Perfect Green™ artificial grass is beautiful, realistic, sustainable, functional and virtually maintenance free. Labor - No more cutting, trimming, watering, fertilizing or weeding your lawn. Energy Reduction - No need for electricity or gasoline to power landscape equipment. Watering and Feeding - Natural grass is one of the most thirsty and hungry plants in your garden. Equipment and Tools - Lawn mowers, trimmers, weed eaters, fertilizer dispensers etc. Health - Save yourself and your family from health related costs associated to allergies, pest bites, toxic pesticides, accidental injuries from equipment etc.